Advanced automatic vertical and horizontal thermoforming, filling & sealing machines to produce unit-doses for any kind of foodstuff & drink. Automatic machine conceived for the production of suppositories and ovula in cavities made of aluminium or thermoforming plastic. Automatic vertical and horizontal machines to produce unit-doses in plastic materials for liquid and semi-liquid products. Our thermoformed packs are mainly SINGLE SERVE and have many applications in different fields, for liquid and viscous products. 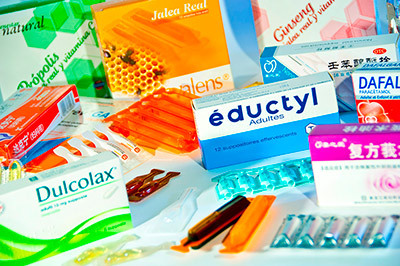 Most of our customers are in Food & Beverage, Pharmaceutical, Household or Personal Care. 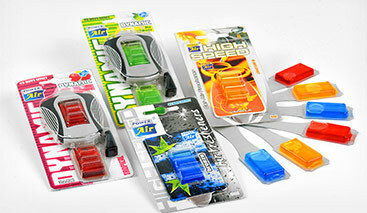 The shape can be very attractive, can reproduce a larger pack and also have a flat bottom in order to be free-standing. 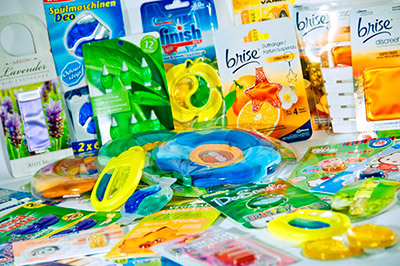 Packaging material can have a nice printing in various colours and also have a self-adhesive label. Packs are very easy to open and empty. Fill volumes are basically from 0.5 up to 120 ml. 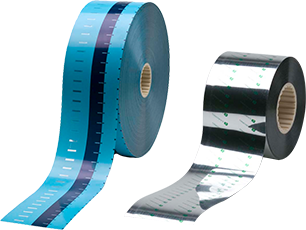 We can offer a complete converting service of lamination, printing and slitting. 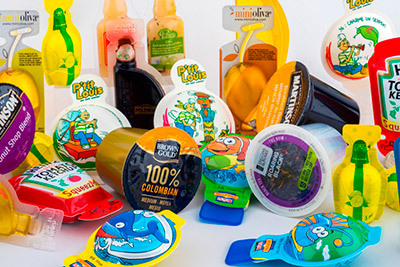 The option to customize materials together with a flexibility of production and delivery are just some of the Packaging Material Division strong points. Sarong it is available to our customers, there are a number of vertical and horizontal machines to fill liquid and semi-liquid , chemical and cosmetic products, with standard tooling that can be used without extra costs and with filling volumes from 1 up to max 50 ml. Upon customer need, it will be possible at any moment to realize personalized shapes. 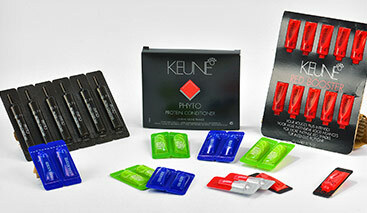 The mono-use blisters are an alternative for cosmetics or personal care. 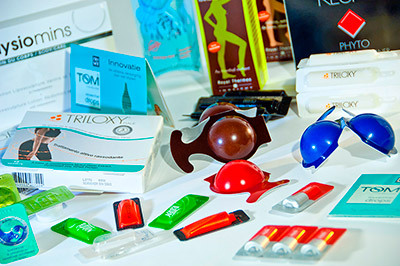 The obtained blisters can be personalized through printing directly on the material or with labelling and can be further packed in cards or boxes. 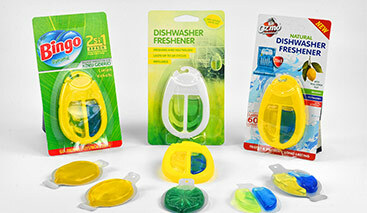 With special materials it is possible to realize air-fresheners, thanks to a special osmotic membrane. Using osmotic membranes it will be possible to obtain discrete deodorants for small rooms, drawers and cupboards to protect the clothes throughout the season, deodorants for dishwashers with odor neutralizing and releasing pleasant scents. Capitale sociale: € 468.000,00 i.v.